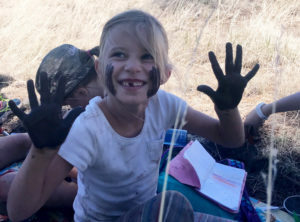 Eco-Explorers Summer Camps are nature-based, experiential, STEAM-centered camps for your young explorer. Camps are available for ages 4-11, with age-specific groups. Quality educators, First Aid and CPR certified staff, excellent curricula, and positive outdoor experiences make for the best summer camp ever. Your child will love exploring nature with us! Let’s dive into summer 2019 by saying hello to dirty hands and feet! See that soil is way more than dirt in this mud-tastic week. Dig and plant in the children’s garden and learn the ins and outs of compost – nature’s way of recycling! Refunds: Refunds will not be given for cancellations made less than 14 days prior to the start of your registered camp. Cancellations more than 14 days prior to the start of your registered camp will receive a 50% refund. All about animals! 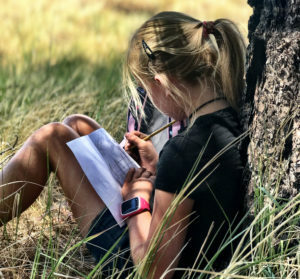 Explore the many habitats of the Arboretum, learn about our forest friends, practice your wildlife observation and tracking, and even meet critters of the Colorado Plateau. AGES 4-7 IS SOLD OUT! Summer isn’t over yet! Join us for water fun and games all week long. 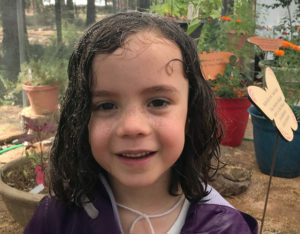 Explore the pond and wetlands, collect and study water bugs, and discover cycles with a splash – it will be anything but dry! 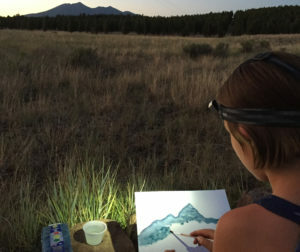 Arboretum at Flagstaff members at time of purchase will receive a 10% discount on all camps. 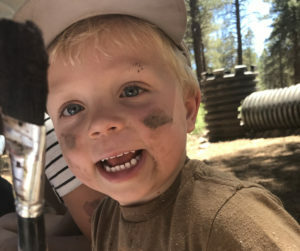 Arboretum at Flagstaff members that register for more than one camp during the same transaction will receive an additional 10% discount, applied to all camps. 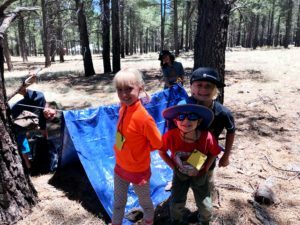 Non-members (anyone that is not a current Arboretum at Flagstaff member) that register for more than one camp during the same transaction will receive a 10% discount, applied to all camps. Let your creativity grow! Play, build, and get messy while making one-of-a-kind nature masterpieces. Explore the gardens with all five senses and enjoy the rainbows of summer color. End the week with a garden celebration and camper art show. To apply for a 2019 scholarship, please continue to the online camp registration process (open March 29th) and complete the scholarship application when prompted.